Altitude difference in ascend: 1370 m.
Altitude difference in descend: 0 m.
Structure of the ground: Path: 6,7 km, dirt road: 740 m, Asphalt road: 560m. BRIEF DISCRIPTION: The route begins at Ypati and ascends to the south. Pass through small clearings and open and flat places and within 4 hours you come across the dirt road which leads to the mountain refugee. Pass 6 times from the dirt road and on the seventh time go left in order to arrive at the refuge. The refuge is closed as it needs renovation. Duration without stops: 4 h.
Altitude difference in ascend: 110 m.
Altitude difference in descend: 1730 m.
Structure of the ground: Path: 10,8 km, Dirt road: 1,6 km, Asphalt road: 610m. BRIEF DISCRIPTION: From the mountain refuge head south, traversing a difficult part until you reach a dirt road which you follow to the right. At the end of the dirt road continue along a path until the plateau of Karitsa which is an open and flat place at an altitude of approximately 1040m. The path there becomes very steep and needs special care until the plain, which through dirt roads ends up at Loutra Ypatis. 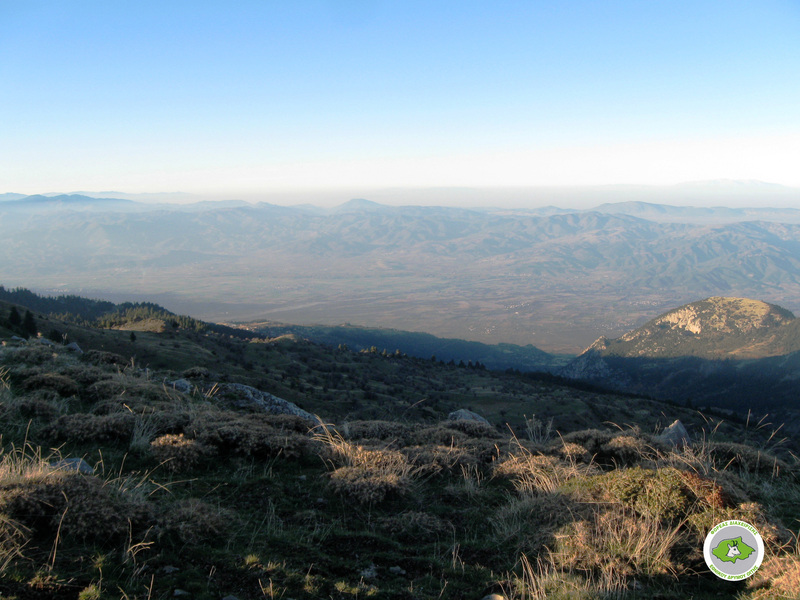 Duration without stops: 7 h.
Altitude difference in ascend: 817 m.
Altitude difference in descend: 1377 m.
Structure of the ground: Path: 15,7 km, Dirt road: 1,6 km. 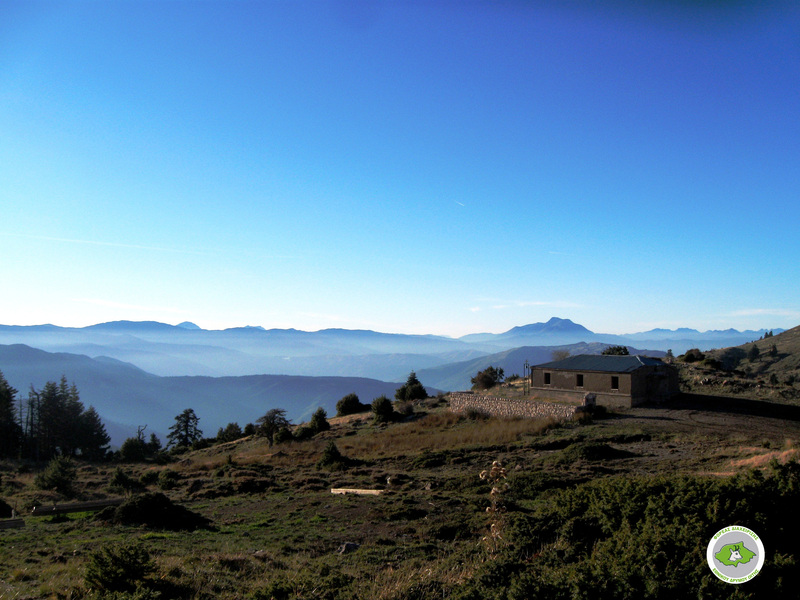 BRIEF DISCRIPTION: Start at the mountain refuge and follow the dirt road heading south until you reach Livadies plateau. From Livadies head east and arrive at Greveno. Go back to Livadies and ascend to the west in order to reach Alykaina peak. From there, descend to the south until you reach a narrow passage where there is a dirt road. Then ascend heading south in order to arrive at the highest peak of Oiti which is Pyrgos, having covered the 2/3 of the route. 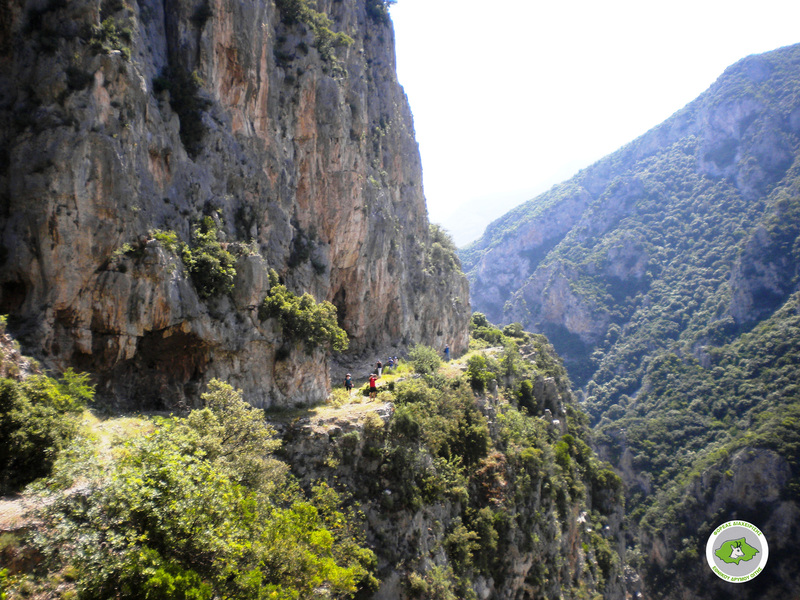 From the peak descend towards a small gorge which leads to St Apostoloi chapel. While descending from the chapel, cross a current and heading mostly west you will finally reach Neochori. Altitude difference in ascend: 332 m.
Altitude difference in descend: 332 m.
Structure of the ground: Path: 2,8 km, Dirt road: 1000 μ., Asphalt – cement road: 1,1 km. BRIEF DISCRIPTION: The route begins at the Centre of Environmental Education of Ypati . In the next 100m leave the asphalt road and follow an uphill dirt road. The road is steep for 400m but you will soon find a path which you will follow to the right. Then, the route is flat and there is a crossroad for “Anemotrypa”. In order to see “Anemotrypa” you have to make a small diversion, but then you have to return to the main path and descend until the hanging bridge. After that, ascend to the south following the red – white markings. 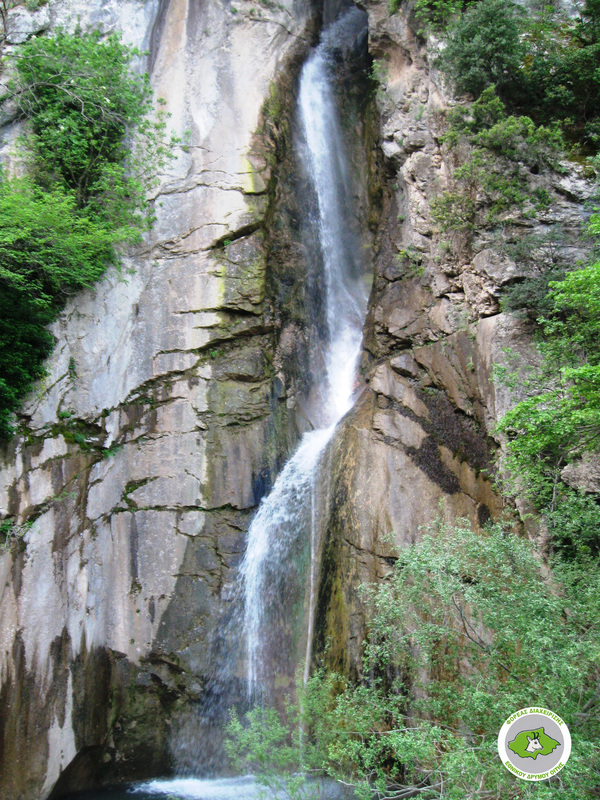 You reach sharp rocks, where there are ropes until the waterfall. On the way back, do not go towards the hanging bridge. Head north, walking parallel to stream of Xerias. After three wooden bridges, you finally reach the asphalt road. Duration without stops: 2 h.
Altitude difference in ascend: 150 m.
Altitude difference in descend: 160 m.
Structure of the ground: Path: 1,6 km, Dirt road: 100 m, Asphalt: 400 m.
BRIEF DISCRIPTION: The starting point is at the square, where you go uphill on an asphalt road passing from St Sophia. Then, take the path towards St John’s chapel with the beautiful view. Here, there are two paths but you will take the one on the left which passes from the old cobbled road and the small waterfall. You reach a dirt road and you follow it until you arrive at the Castle (Kastro). Then return to the centre of Ypati after having completed a circular route. At first, head west. 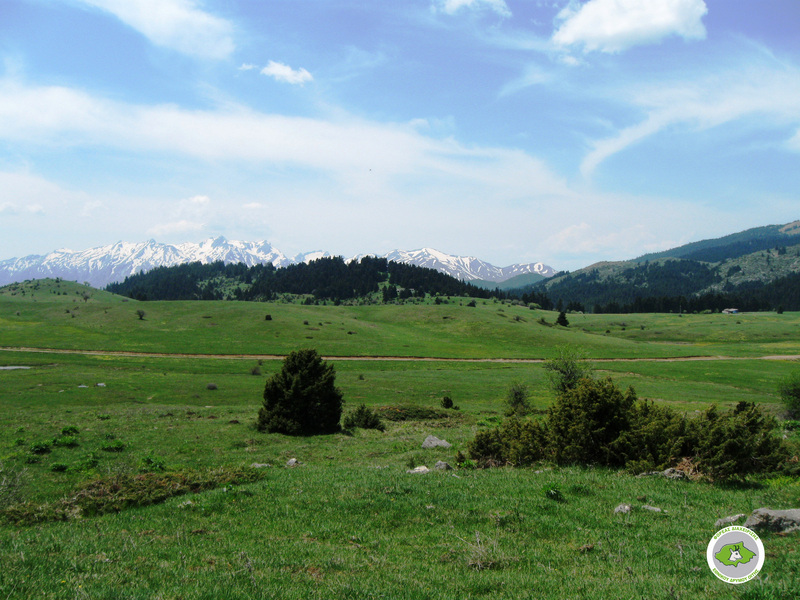 Take the path “Ypati – Refuge” to the north for o few meters and then leave it heading west in order to pass through old fields. Then, you will reach “Anemotrypa” and you will follow the “Farmakides Path” in order to return to Ypati. Altitude difference in ascend: 720 (720) m.
Altitude difference in descend: 60 (60) m.
Structure of the ground: Path: 3,6 km, Dirt road: 470 m., Asphalt: 430 m.
BRIEF DISCRIPTION: Start at the square of Ypati, heading south, passing through the alleys of the village and making a circular route around the hill of Kastro on its east side. After St John’ chapel and Kakkavos stream, there is a dirt road which you follow heading left. At the first road, go right and reach Perivolia location where there is a big shrine. Then, following the path which ascends towards the steep slope, you will reach Arsalis chapel. Altitude difference in ascend: 100 m.
Altitude difference in descend: 950 m.
Structure of the ground: Path: 3,7 km, Dirt road: 2,3 km, Asphalt: 1,2 km. Brief Discription: Start at the square of Kastania and follow the asphalt road towards Lychno-Kapnochori. At some point leave it in order to go right towards the cemetery. At first, follow a dirt road, then a path and finally a dirt road which leads to Kapnochori which is near a mill. Descend the asphalt road towards Ypati and turn right at the old primary school (there is a small road). When you come across an asphalt road, cross it and take the path near the shrine. 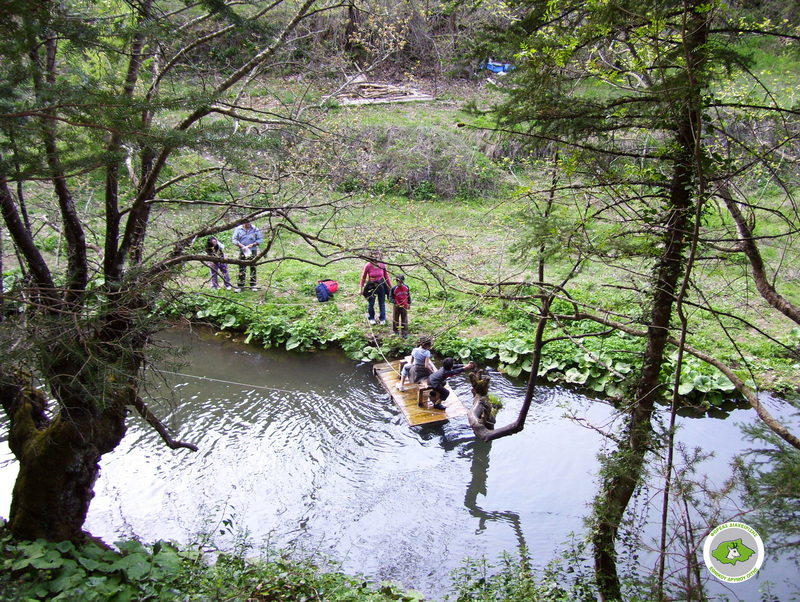 When you reach Xerias stream, cross it and follow the path of Farmakides to Ypati in the reverse direction. Duration without stops: 3 h.
Altitude difference in ascend: : 301 m.
Altitude difference in descend: : 1090 m.
Structure of the ground: Path: 8,1 km, Asphalt: 70 m.
BRIEF DISCRIPTION: Start at Kastania village in a 200ο course and you will soon find the path which traverses the slope on the east side at an altitude of approximately 1000m., until you reach the stream of Xerias. 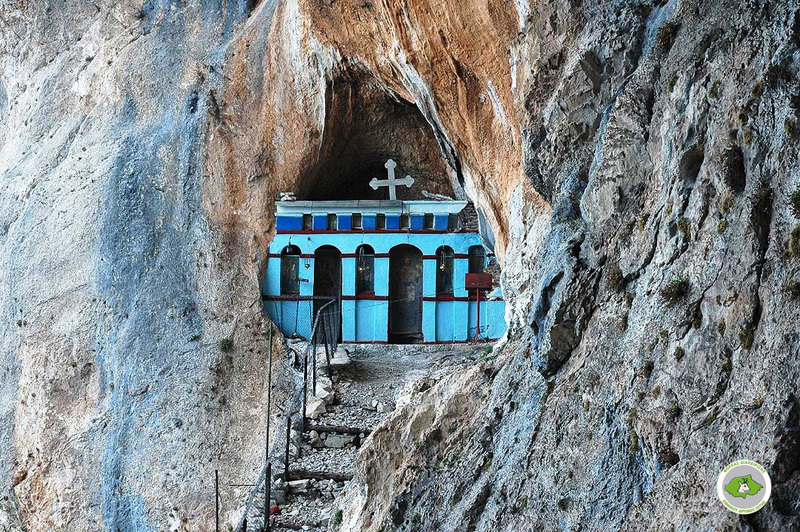 After Xerias, the path becomes steep and reaches St Athanasios chapel. 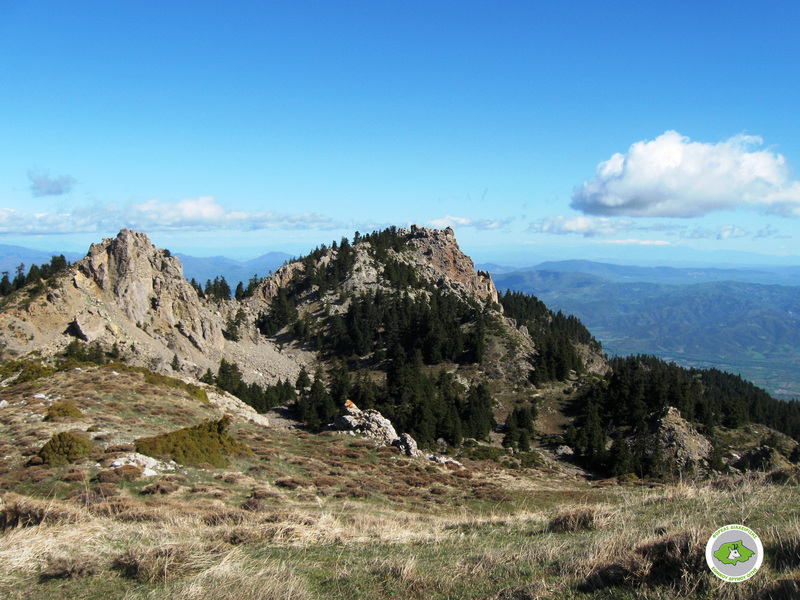 From the chapel, head east and you will arrive at a narrow passage which ascends to the north and ends at Petrotos peak. Then, return to the narrow passage and head east, descending until Rodokalos plain. In order to go to Ypati, take the path from Ypati to the climbing refuge in the reverse direction. Altitude difference in ascend: 420 m.
Structure of the ground: Path: 2,6 χλμ., Asphlat – cement road: 1,2 km. BRIEF DISCRIPTION: From the village of Kastania follow initially the central asphalt road towards Neochori and then the cement road which leads to Prophet Ilias chapel. The path “cuts” the asphalt road vertically and then it runs parallel to it (to the west and beneath it). You reach a rural house where you have to leave the asphalt road and ascend left, following the path which leads to Pathena col.
Altitude difference in ascend: 247 m.
Structure of the ground: Path: 1,6 km, Dirt road: 20 m, Asphalt: 0 m.
BRIEF DISCRIPTION: From Pathena col, head east. The first part of the route is through an easy path, but when you arrive under the cone of the peak you will have to climb a difficult edge until you reach the top. Altitude difference in ascend: 329 m.
Altitude difference in descend: 129 m.
Structure of the ground: Path: 4,3 km. BRIEF DISCRIPTION: From Pathena col, follow the path to the east. When you reach a flat place continue in a south-eastern direction. Head south passing through small fields. Descend slightly until a dirt road and right across it there is a steep acclivity until Tourla peak, from which point the chapel is visible. 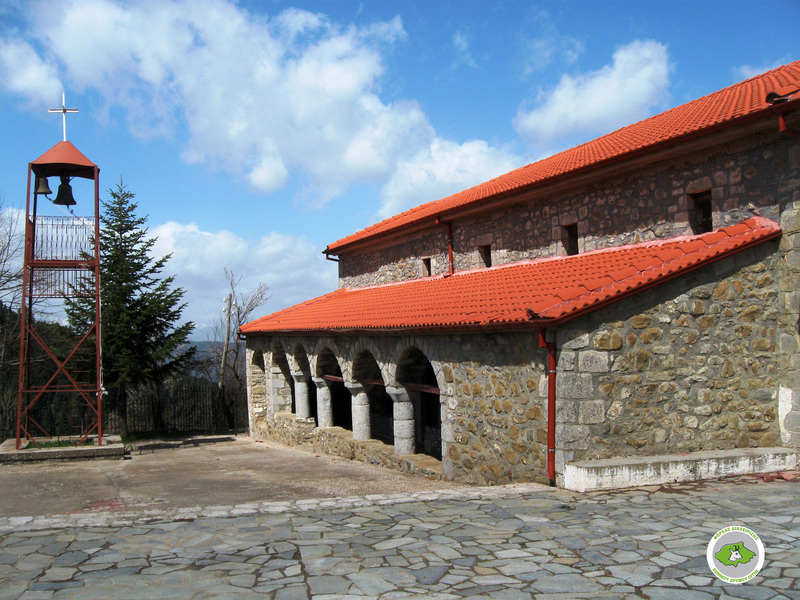 Then, following a safe path arrive at Saint Apostoloi chapel. Altitude difference in ascend: 990 m.
Altitude difference in descend: 990 m.
Structure of the ground: Path: 14 km, Dirt road: 2,1 km. BRIEF DISCRIPTION: Start at the highest point of the village, from a spring where there is a sign. 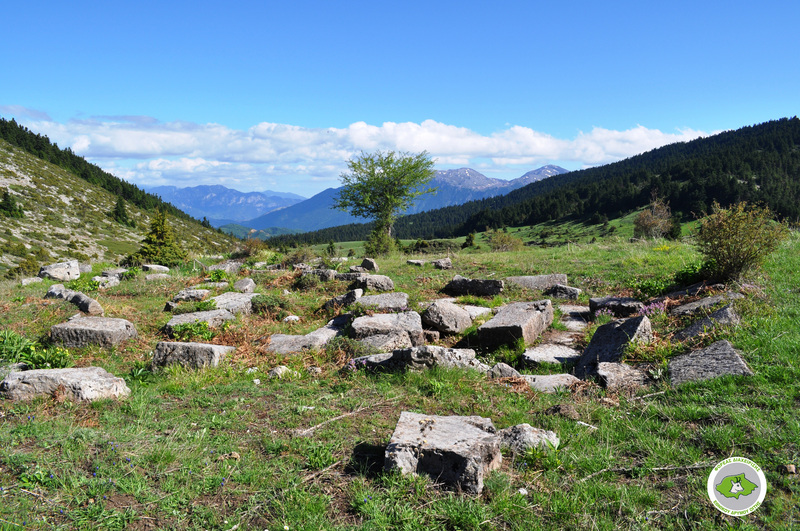 After the village, the path is safe and passes next to Pyrgakia peak. Then, you come across a dirt road and you follow it for a while passing from the “Cold Fountain” (Krya Vrysi) position. 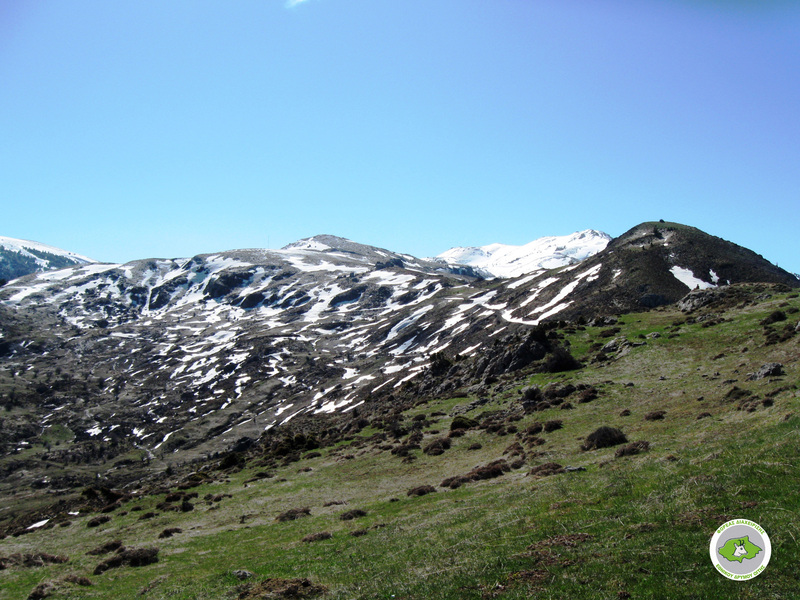 One last and steep acclivity leads to the highest peak of Oiti, which is Pyrgos. 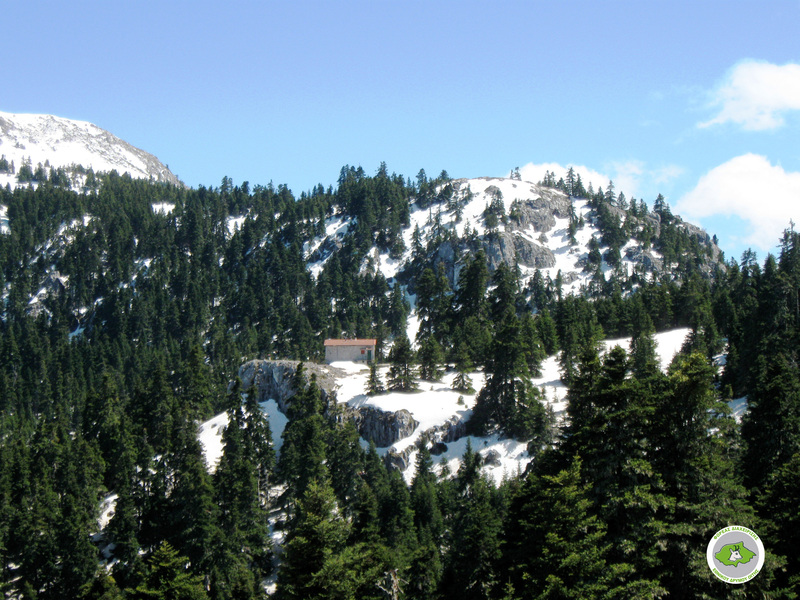 From there descend in a northwest direction in order to reach a gully, which leads to Saint Apostoloi chapel. Continue to the south, following the path which runs parallel to furrows. In the end descent without difficulty until you reach the highest point of the village. Altitude difference in ascend: 580 m.
Altitude difference in descend: 40 m.
Drinking water: at the beginning of the route. 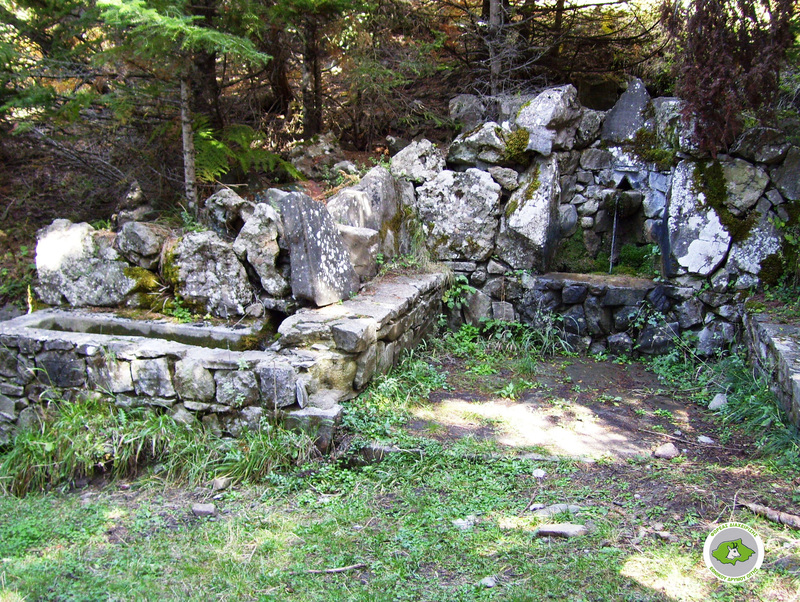 The spring at Ampelaki location does not have lots of water. 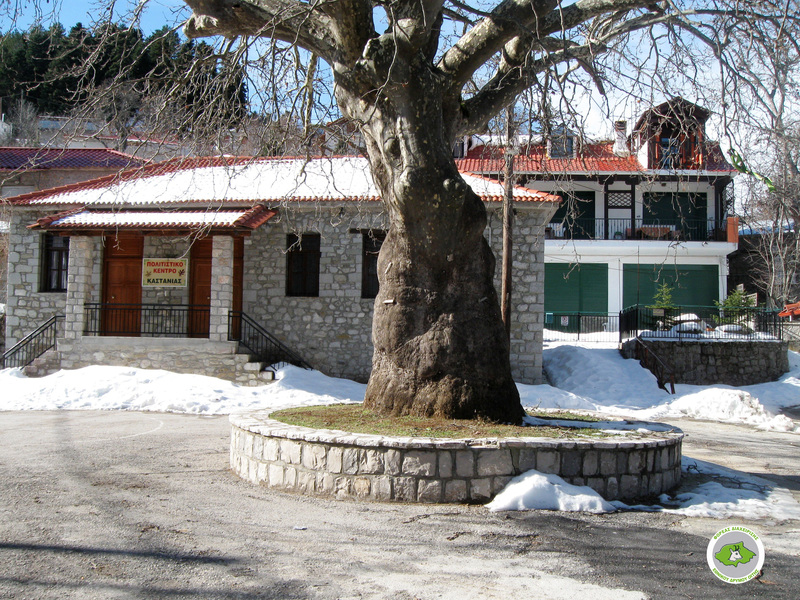 Structure of the ground: Path: 4,3 km, Dirt road: 650 m.
BRIEF DISCRIPTION: Start at the area across “Vogomilos” café – tavern which is located at the central road Loutra of Ypati – Ypati, following a dirt road which becomes a path after the beautiful stone fountain. Then, short-circuiting some turns of the dirt road, in 530m., continue along a distinguishable path which traverses the slope to the east and leads to the flat place of Ampelaki. Duration without stops: 6 h.
Altitude difference in ascend: 605 m.
Altitude difference in descend: 605 m.
Yes (Katavothra): Path: 4,3 km, Dirt road: 650 m.
BRIEF DISCRIPTION: Starting out from the village of Pavliani, ascend through forest roads and then through a path. 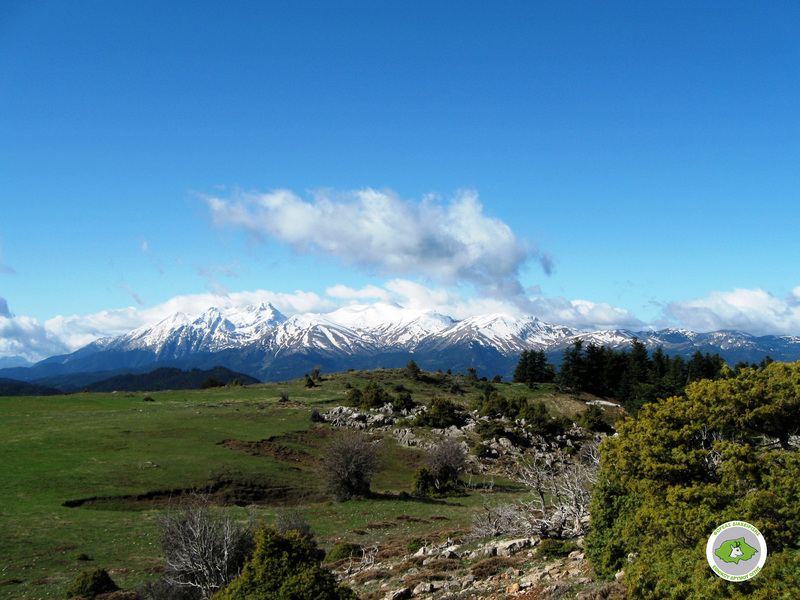 Follow a circular course around Xerovouni to the north until you reach a dirt road on a plateau (1500m.). Make a small diversion until “Katavothra” position where the waters of the plateau go through the cave precipices of the same name. 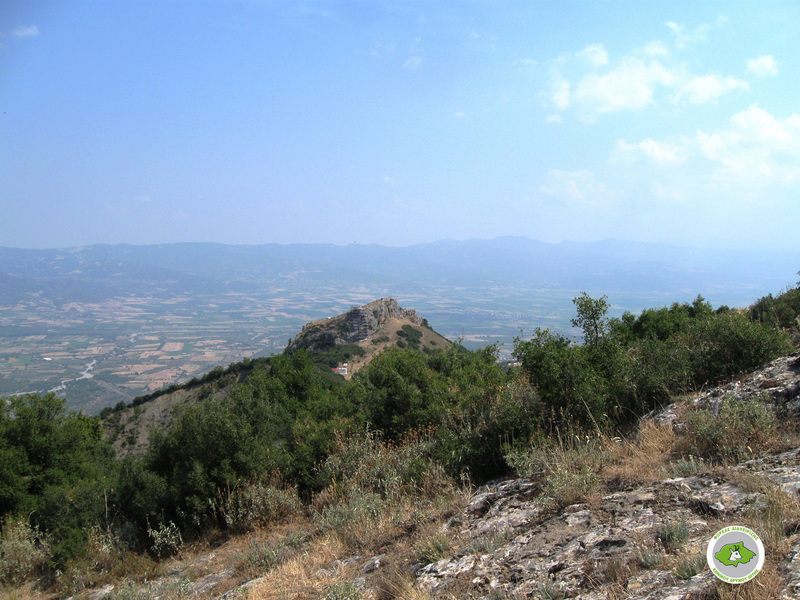 Then return and continue along the dirt road until Hercules’s Fire (Pira Irakleous). A path on the current to the south of Xerovouni descends towards Pavliani. In the end, follow a dirt road. Duration without stops: 5 h.
Altitude difference in ascend: 660 m.
Altitude difference in descend: 660 m.
BRIEF DISCRIPTION: At first, follow a dirt road heading west and pass through Alpine meadows. After the river turn right (northwest) leaving the road and following the current of the river which streams from Sempei peak. The indistinct path leads to Pyrgos and from there take the same way back. Altitude difference in ascend: 30 m.
Altitude difference in descend: 215 m.
BRIEF DISCRIPTION: At first, ascend through a dirt road for 500m. and then descent north along a path. Enter the gully, where the path follows the flow of the water. There are many branches which lead to clearings and refreshment places in the park. Before you reach the end of the park, where there is the Water-Power Museum, you can go to the right where there is a sign pointing towards “Jupiter’s throne” (Thronos tou Dia). This leads to an observatory which offers a view until the sea, but you have to make a small diversion with an acclivity before you reach it. Altitude difference in ascend: 60 m.
Altitude difference in descend: 770 m.
BRIEF DISCRIPTION: Start at the spring, and descend the wooden steps having on your left a beautiful stream. You pass from wooden bridges and a refreshment place in the thick forest. 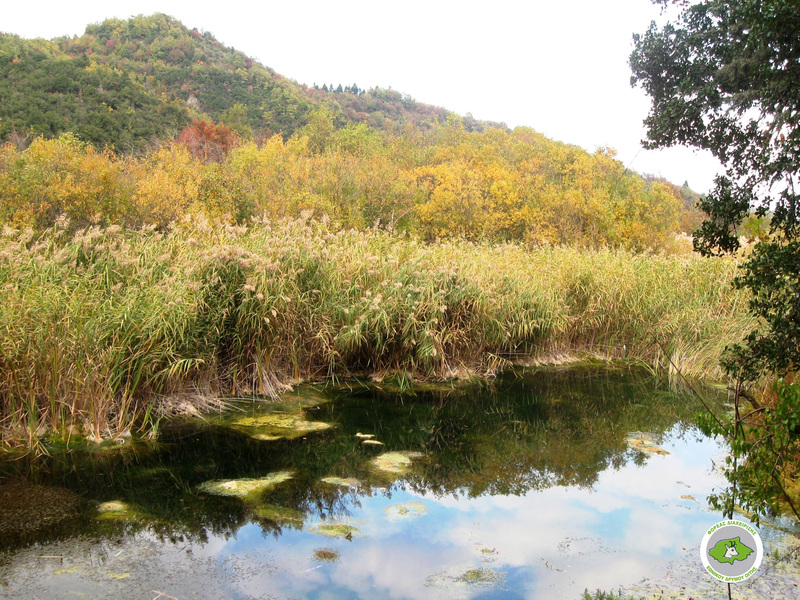 You reach a tree house near a small pond – the wetland, known as Tziros. Stay on the right side of the stream and you will see small dirt roads which soon become paths again. When you reach the end of the stream, cross it and go uphill towards a ruined road. Pass through it carefully, because there are some dangerous spots due to a risk of land sliding. Reach the dirt road and descend towards the animal settlement of Kouvelos. Continue along a path until the train tracks and follow the rails to the north until you reach the Railway Station Asopos. Altitude difference in ascend: 50 m.
Altitude difference in descend: 350 m.
BRIEF DESCRIPTION: : Follow the rails east for 400m. Ascend through the dirt road which begins on your left for 100m. Then, you immediately take the path on your right. You pass through a holly forest and then you reach a rocky place. From there, it is evident that the path is “carved” on the rock, with the view of the impressive steeps and Asopos River. You reach a dirt road where there are small diversions with small but steep paths. You will soon leave the dirt road and follow a path (parallel to the road but far from it) which leads to the asphalt road and the ruins of ancient Trachinia, where there is the exit out of Asopos gorge.